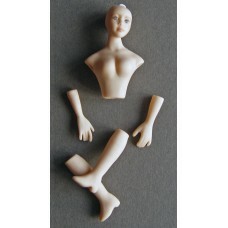 Miniature (1/12th scale) Porcelain Doll Kits: comprises a face/torso, arms, legs, pipe cleaners, felt, stuffing and easy to follow instructions to complete. 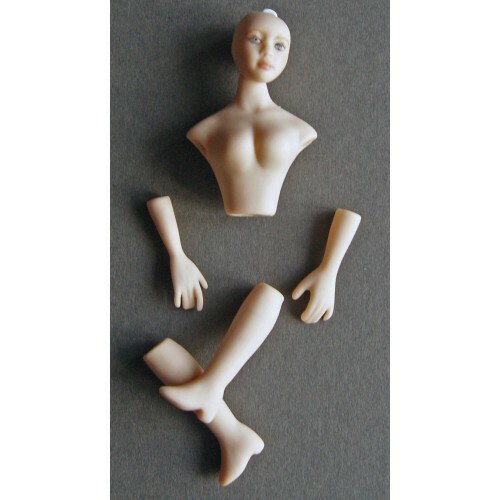 The dolls heads can be gently positioned. Their faces are china painted, this requires several applications in order to build the layers and achieve the desired results. Each layer is fired in the kiln at a very high temperature. As all the dolls faces are hand painted, occasionally there may be slight differences. However, I do try to be consistent. Adult collectors only, NOT suitable for children under 14 years.